“The United States will continue to support freedom of assembly and freedom of expression. It’s well documented that we do that. We talk about it every day, including the right of peaceful protest,” State Department Spokesman John Kirby told reporters at his daily news conference. The US has asked all parties in Pakistan to refrain from violence even as it reiterated its support to freedom of expression and right to peaceful protest. He was responding to a question on the ongoing protests in Pakistan. Kirby refused to comment on changes in military leadership in Pakistan. “The specific decisions about who leads the military in Pakistan that’s for the Pakistani Government to decide as those are sovereign decisions that I’m not going to comment on,” he said. “Obviously, we’re aware of the reports about protest activity, bans on protest activity, decisions to protest or not to protest. Again, those are questions that are better answered by Pakistani authorities,” Kirby said. Pakistan Tehreek-i-Insaf chief Imran Khan yesterday called off anti-government protest to be held today and instead announced celebrations after the Supreme Court ordered a probe against Prime Minister Nawaz Sharif and his family over the Panama Papers scandal. PTI chairman Khan had threatened to lockdown the capital today by mobilising a million supporters to force Sharif to step down over corruption allegations against him and his family. 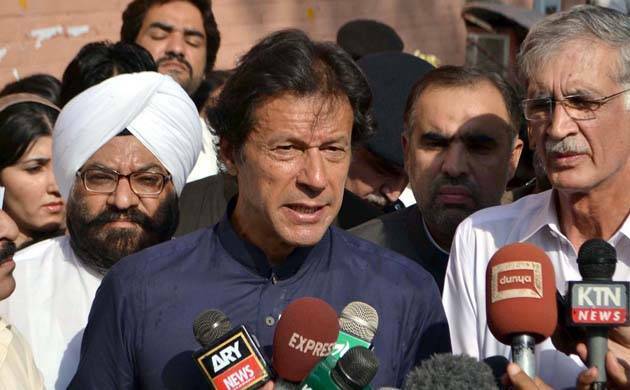 Earlier, Pakistan high court had barred Khan’s planned lockdown of the capital and ordered it to hold a sit-in at the designated place here instead, as authorities arrested at least 1,500 party activists in a crackdown. “If any attempt to block or lockdown the capital is made, the district administration shall act in accordance with law,” Justice Shaukat Siddiqui had said.